GOS Sim Challenge: "Bee" - CAPITAL LETTERS! Hello there! So it's about time that I decide to de-lurk for a little while. I bring with me one little sim. This is Bebe, if you couldn't read it on the banner above. 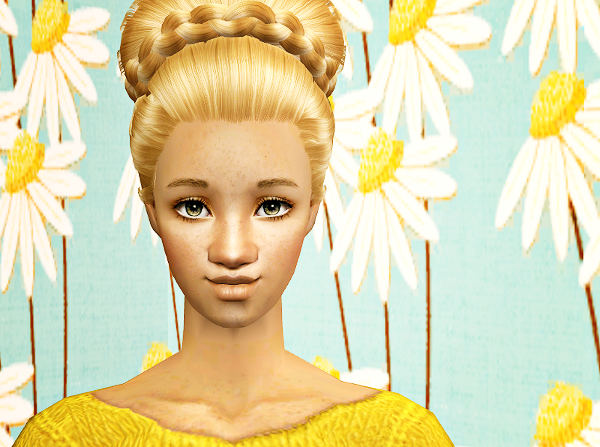 She is inspired by the prompt "Bee" in the GOS November Sim Challenge. 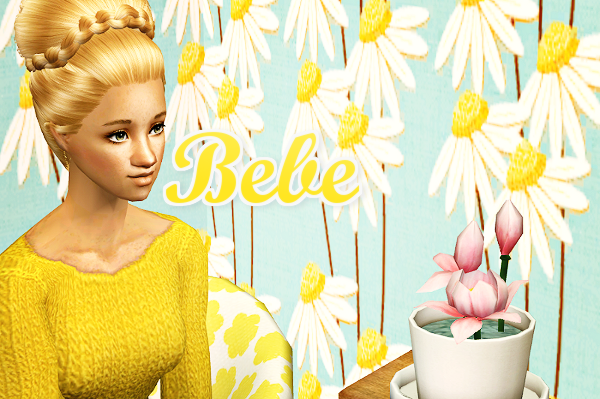 She's an energetic little sim with a love for bright colours and pretty flowers. But be warned if you think of crossing her - she packs a sting! 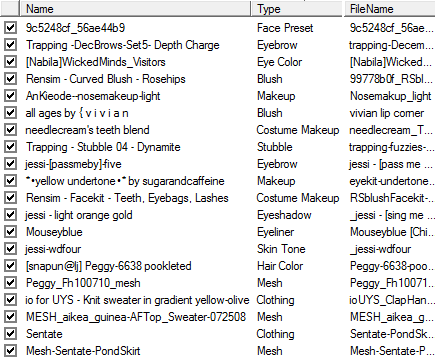 Here's her CC list! As you can see it's pretty big, so I included a CC-free version of her too. Thanks, I was proud of her nose :P Enjoy! ^^ Glad you like her!